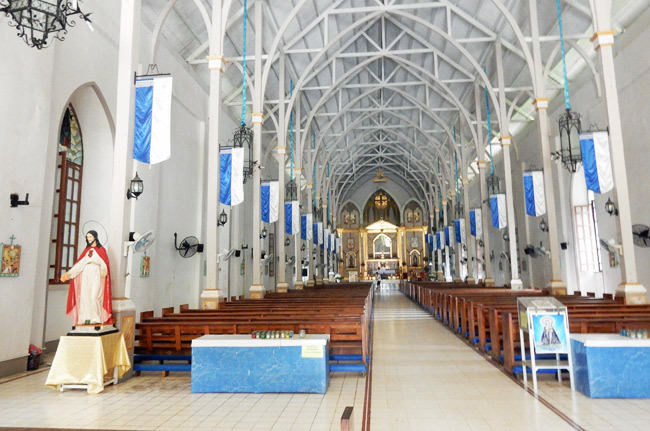 From the historic churches of Paoay to the cobblestone streets of Vigan, the Philippine provinces of Ilocos Norte and Ilocos Sur are known for their culture and history. 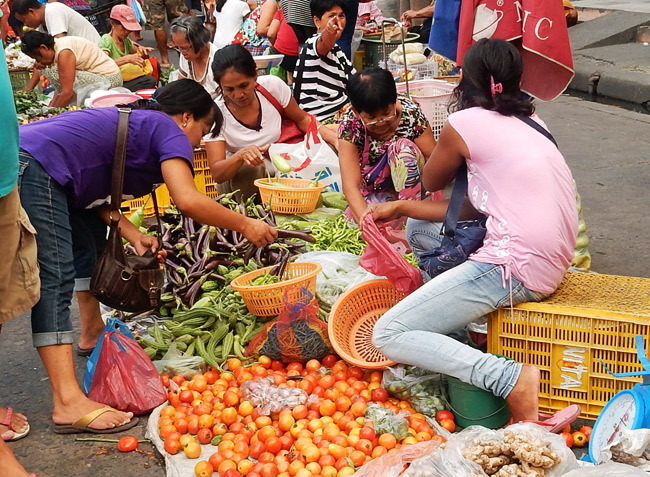 Let’s wrap up our month-long coverage of the Philippines with a look at more of the sights of this northern region of the island nation. 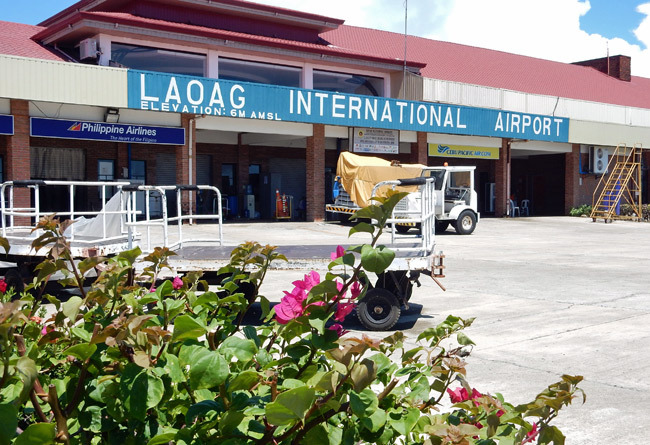 Laoag International Airport serves mostly domestic destinations like Manila, but it also has flights to China that bring tourists to the region. 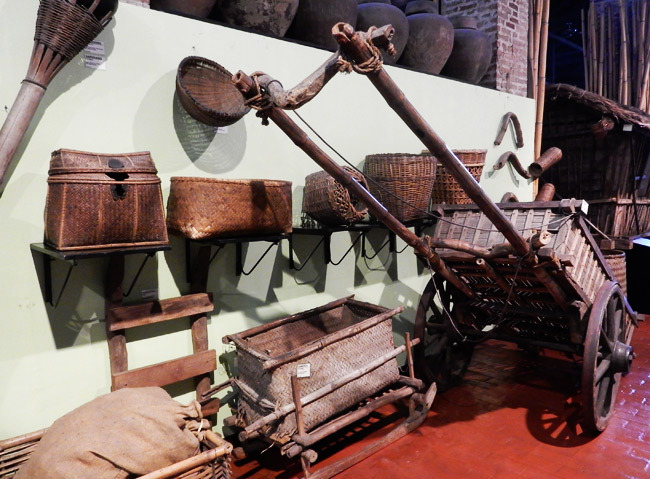 The Museo Ilocos Norte displays tools, clothing, and household objects used by the people of this region over the years. 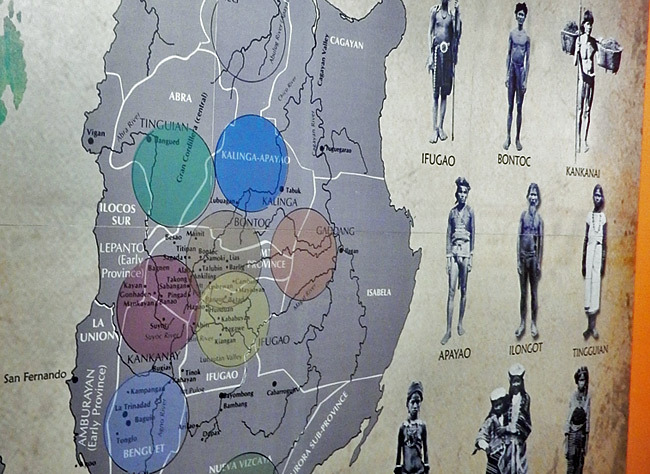 Another institution, Taoid, is a museum of the Cordilleras, the people of the northern highlands. 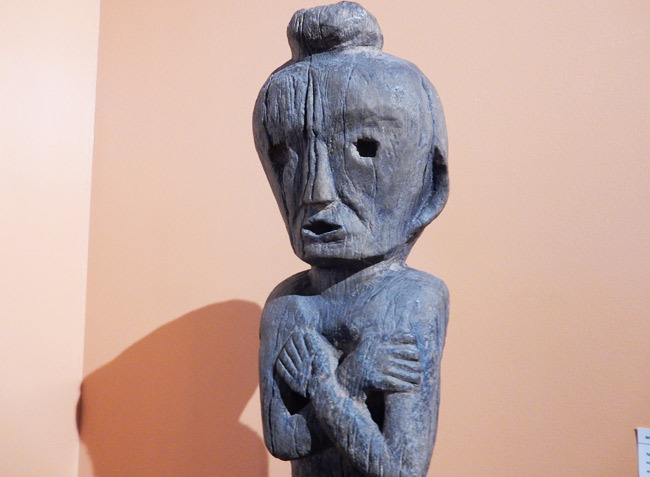 It opened in 2015 and features art, sculptures, artifacts, and information about the various peoples who live(d) in the area. 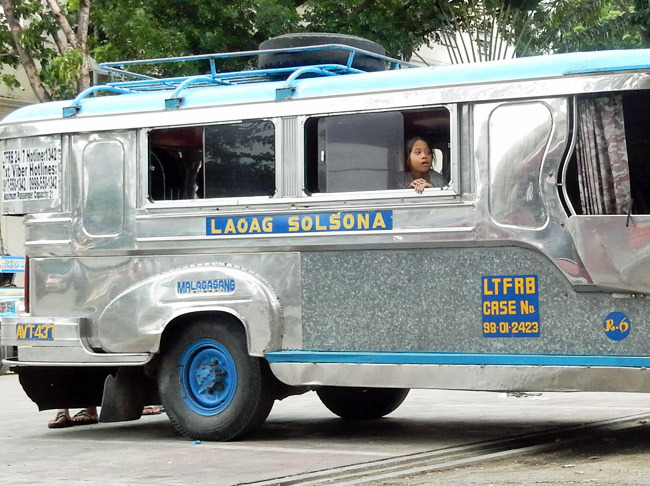 Jeepneys and buses take passengers all over the country with a fairly well-organized system of routes. 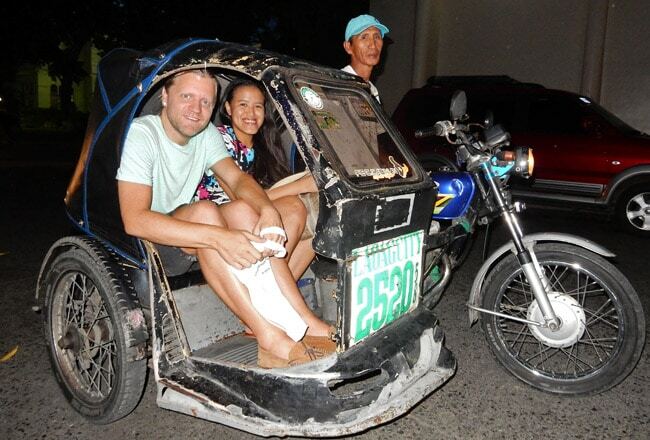 For a budget-conscious joyride, hop in one of the tricycle sidecars. 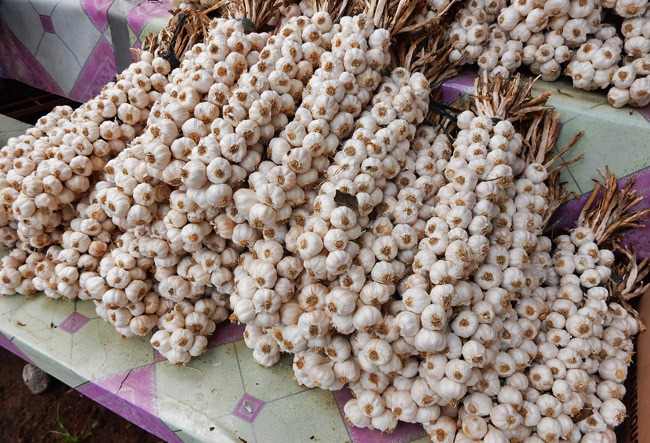 For only 11 pesos (less than 25 U.S. 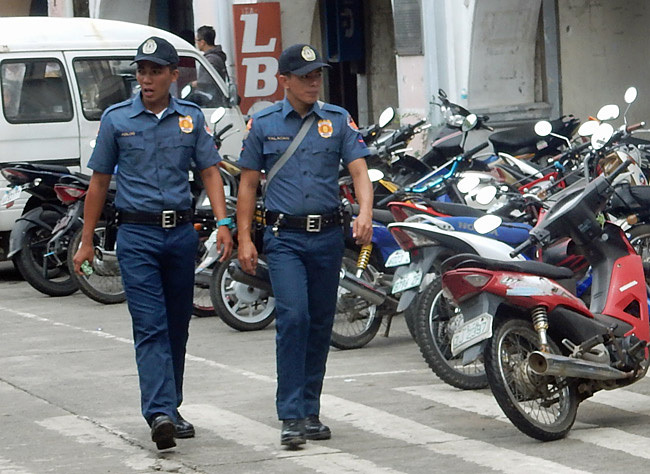 cents! 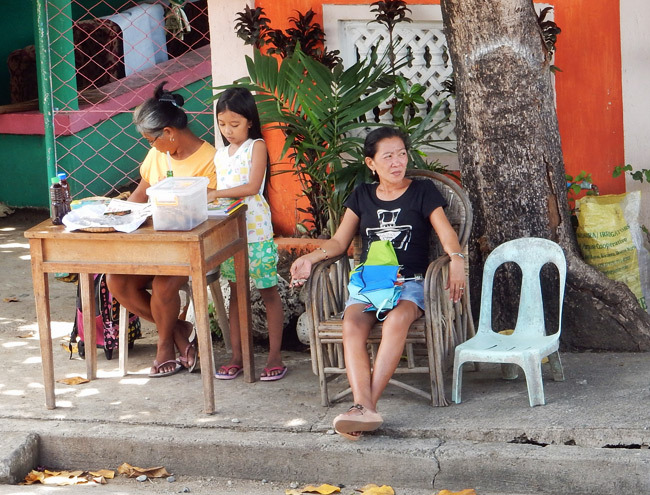 ), I was able to share a ride with Micaela of senyorita.net. 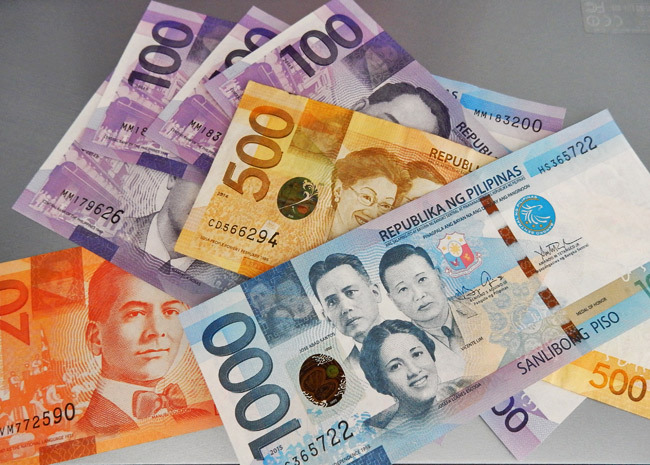 I love how colorful Philippine money is. 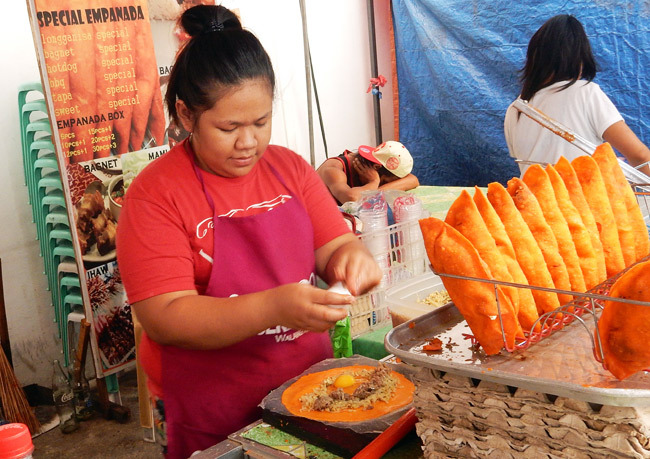 The empanadas in Laoag, with an entire egg, sprouts, and chorizo, were my favorite street food in the Philippines. 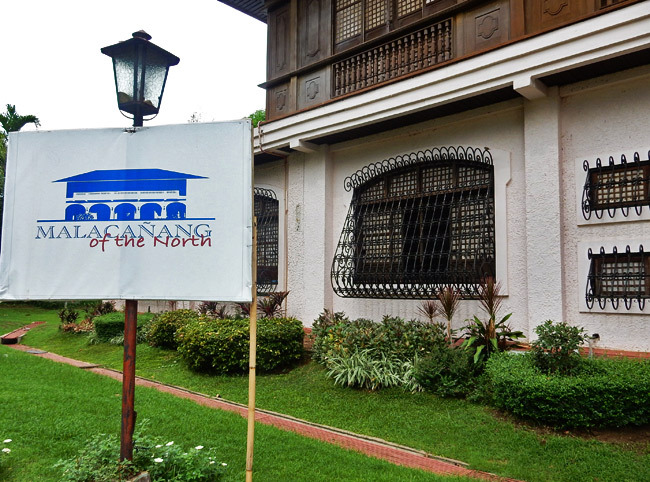 Moving south to Paoay, the Malacañang of the North is the former vacation home of late President Ferdinand Marcos. 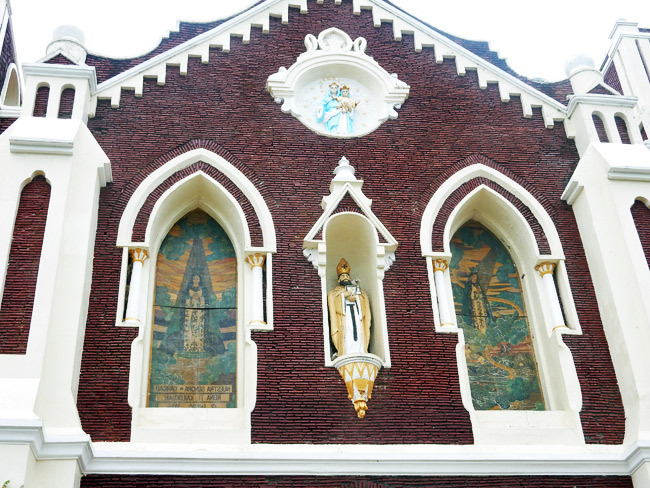 It has been restored to show the splendor and comfortable lifestyle the president and his wife enjoyed. 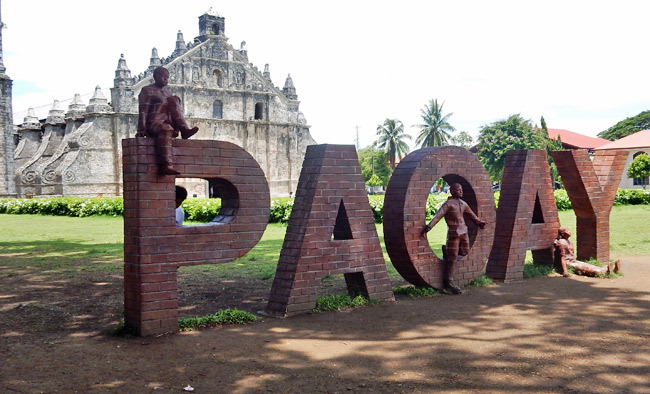 Paoay’s welcome sign sits just in front of the imposing Paoay Church, a UNESCO World Heritage Site. 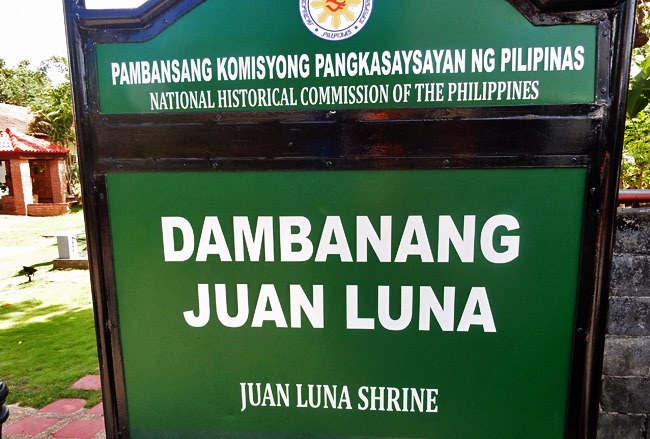 Famous Filipino painter Juan Luna was born in 1857 in the town of Badoc and later moved to Manila and Paris. 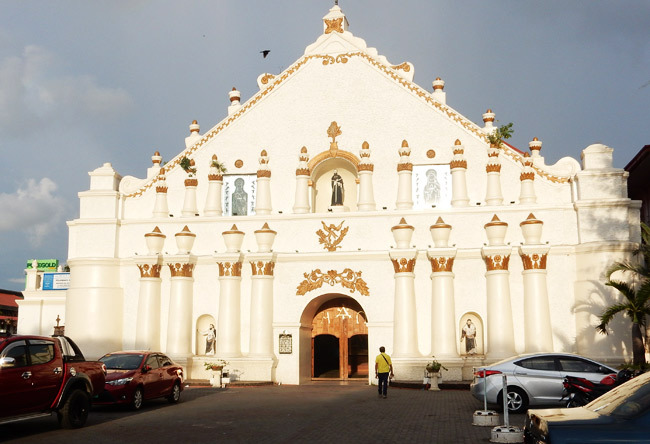 In Badoc, visitors can check out the Juan Luna Shrine, a two-floor restored home that tells the story of his life and that of his brother Antonio, a general in the Philippine-American War. 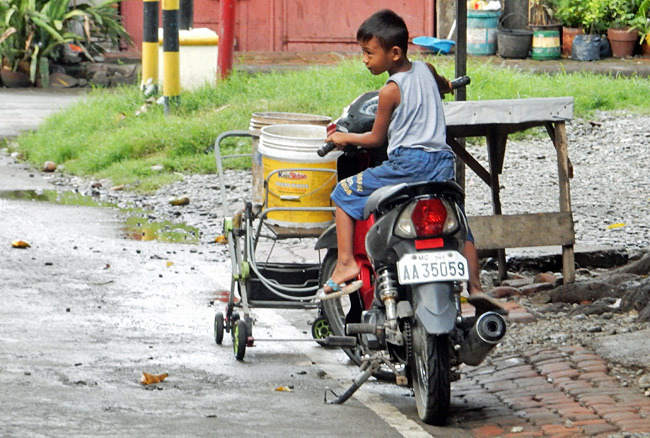 Kids start riding motorcycles young around these parts! 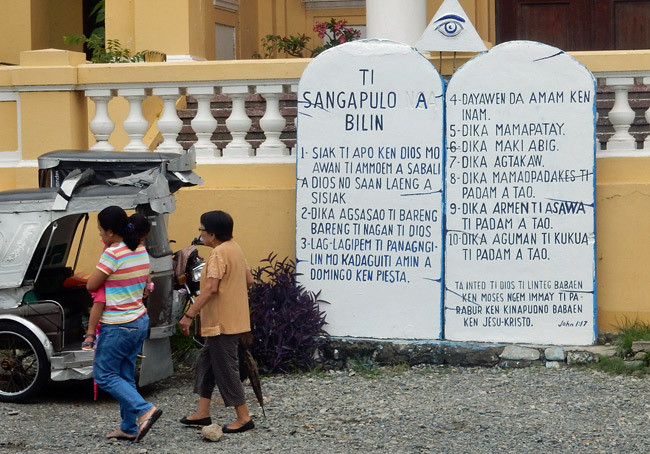 A glimpse at one of the public cemeteries in the Philippines with its above-ground coffins. 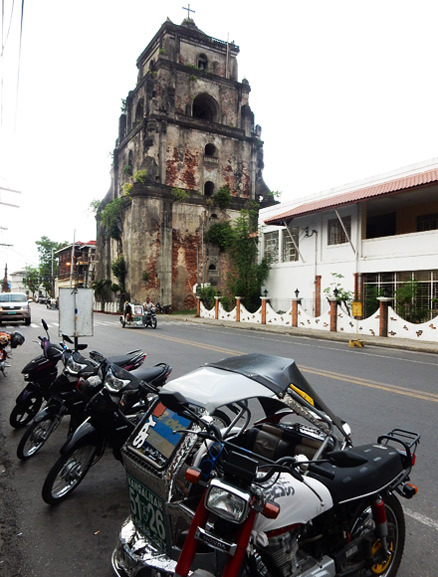 Down in Vigan, the Bantay Church and Belltower were established in 1591 and are still majestic today. 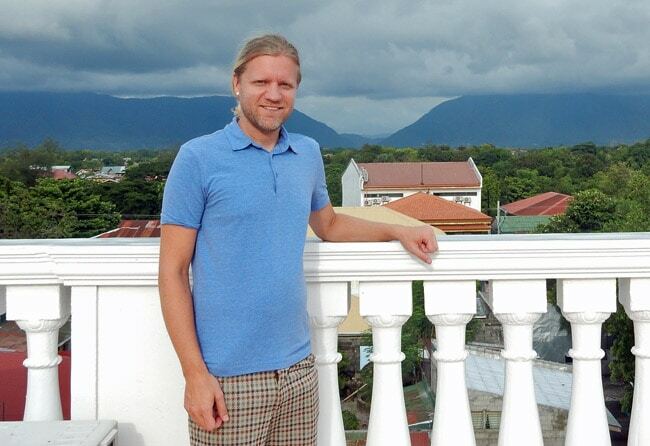 Here’s a rooftop view from Vigan’s Hotel Luna, named after the aforementioned painter. 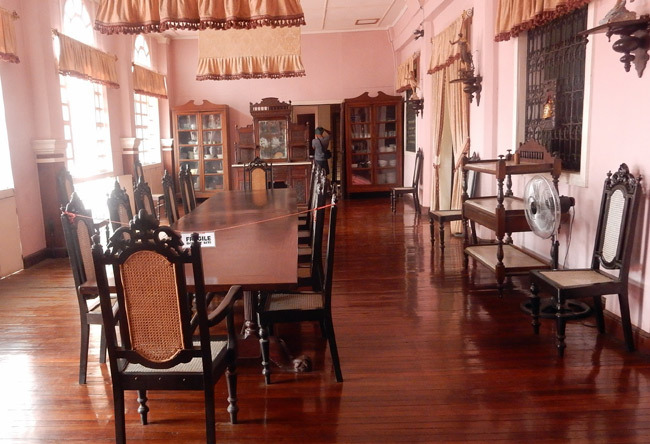 Inside, the hotel has a small gallery with some of Juan Luna’s works on display. 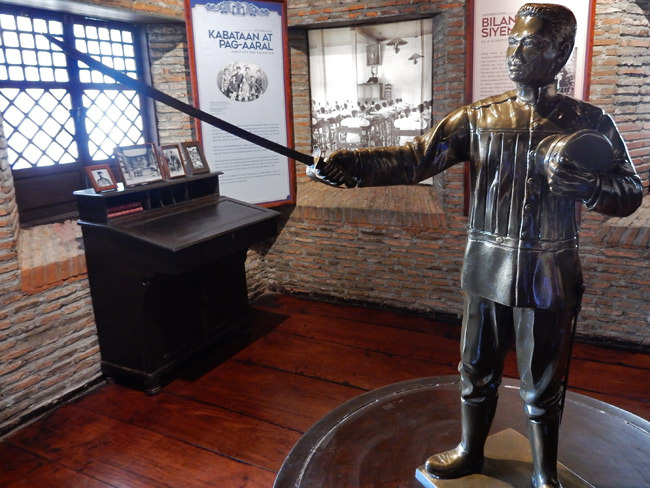 The Syquia Mansion in Vigan honors President Elpidio Quirino, who led the nation from 1948 to 1953. 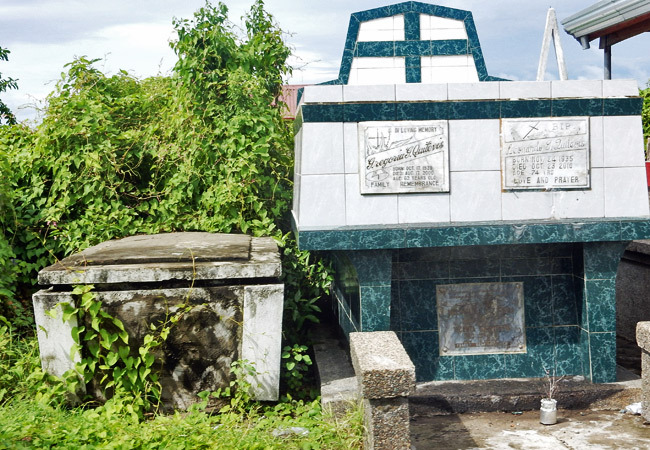 The house is named after his wife’s family and its rooms have been restored to their opulent condition. 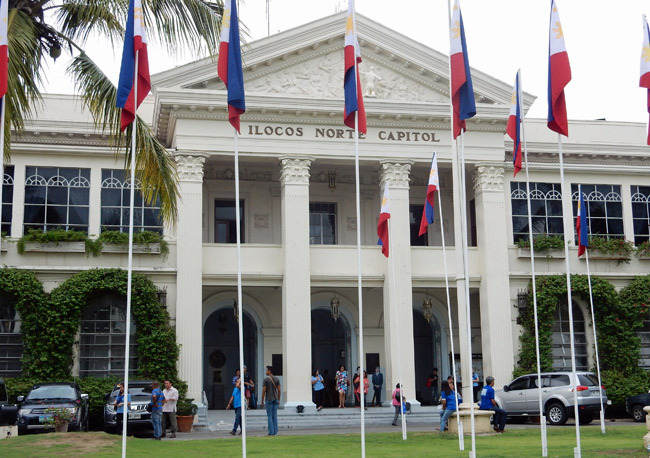 The Ilocos region is known for its traditional abel loom weaving. 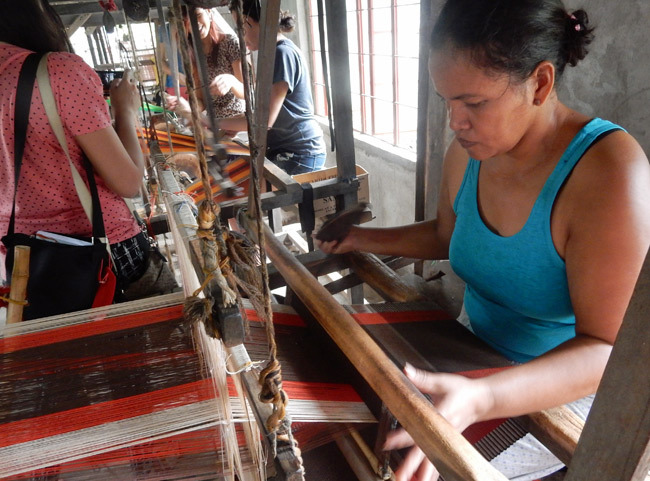 Some shops sell blankets and products made from the abel cloth, a strong, durable material. You can watch them in action as they manipulate the foot pedals to make the wooden machines move. 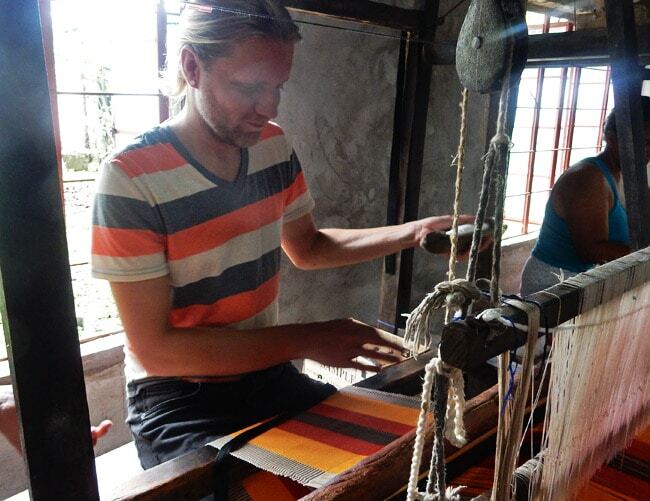 I got a chance to try my hand at loom weaving. 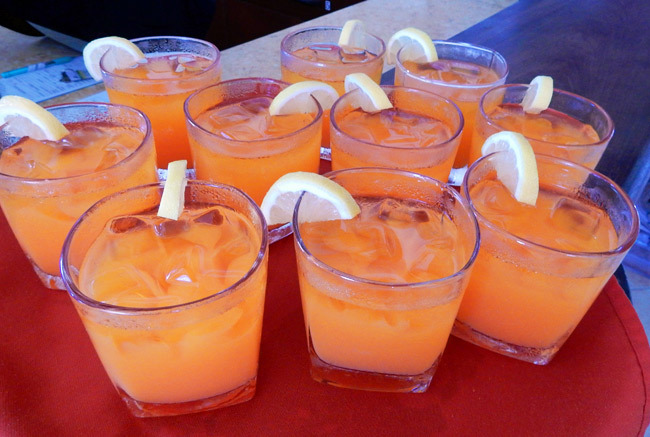 Turns out I’m a natural! 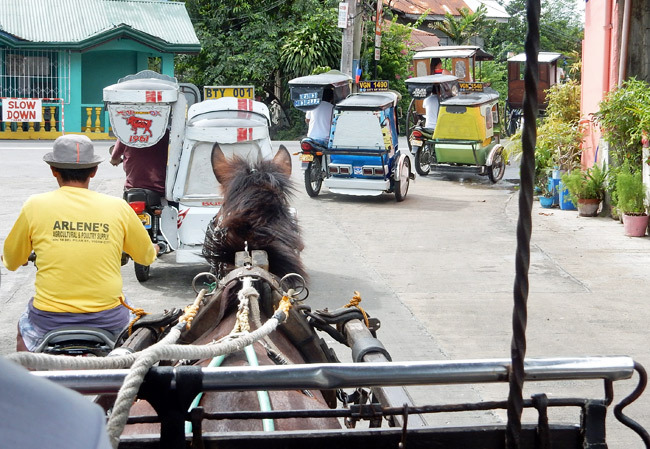 A shot from the front seat of a calesa horse carriage ride through the streets of Vigan. 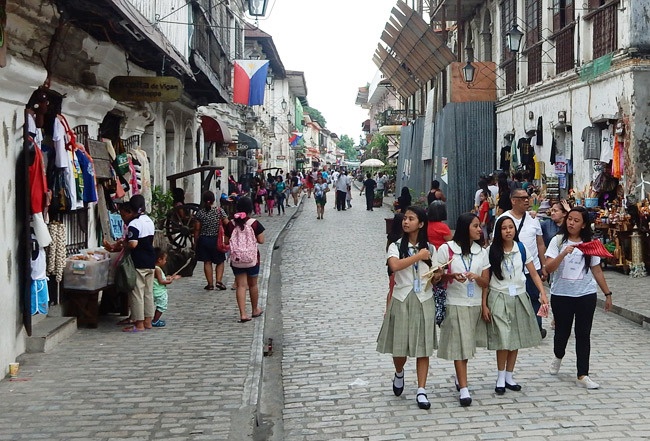 Vigan’s Calle Crisologo is the place to find a cool, old-world Spanish vibe with pedestrians, cobblestone streets, and markets. 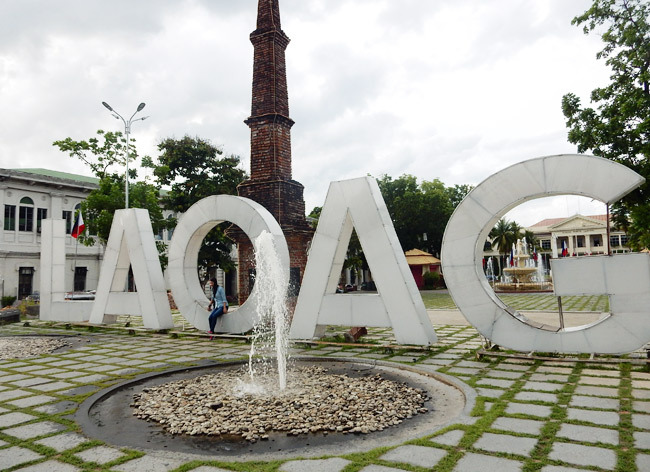 It’s one of the best spots for people watching in Ilocos Sur and a must-visit for anyone who comes to this area. 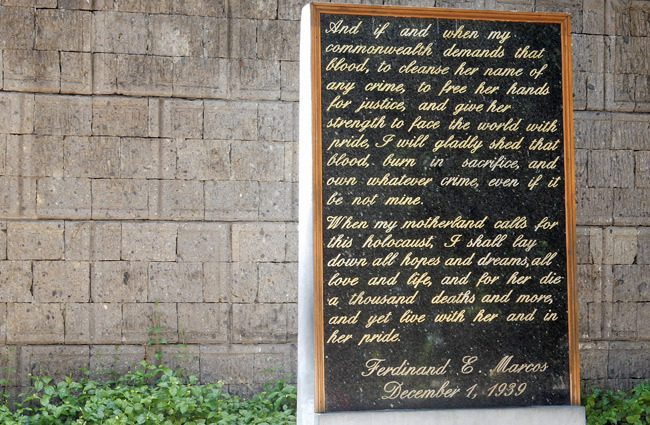 Note: I was a guest of TBEX and the Philippine Department of Tourism during my visit.